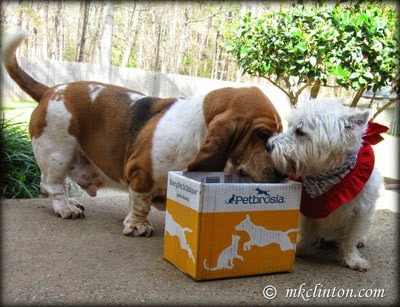 We were recently offered the opportunity to try Petbrosia’s new Grain-Free Salmon Dog food. 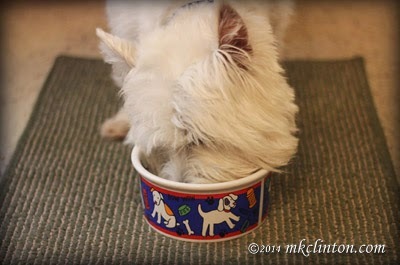 Our previous experience with their dog food was definitely positive, so we were eager to get a new flavor. Bentley and Pierre love getting their food delivered right to our front door. They sometimes seem rather shocked with the big brown truck passes our house without stopping. Since they are the ones that ate the new food, I’ll let them take the reins of this review. "Even the box smells yummy!" "The pieces are a perfect size!" "I hate to eat in front of y'all, but I can't resist!" "I have to eat mine now or Bentley will." 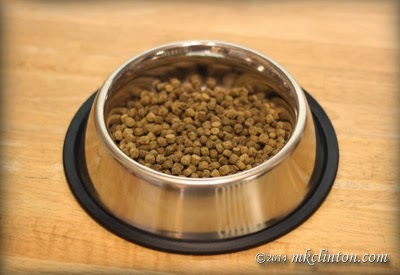 Disclaimer: We received a free bag of Petbrosia Grain-Free Salmon dog food in exchange for our honest, unbiased review. Barking from the Bayou was not compensated monetarily. All opinions expressed are our own. We only review products that we believe in and feel good about recommending to our readers. 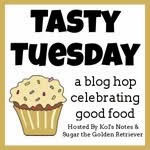 We are joining Kol’s Notes and Sugar the Golden Retriever for their Tasty Tuesday blog hop. These two friends always have terrific recipes and ideas to share. Hop over and say “hello” then visit the others Tasty Tuesday bloggers. 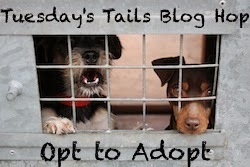 Every Tuesday we join our friends Dogs ‘N Pawz and Talking Dogs on the Tuesday’s Tails blog hop. These dogs are currently living at PetSavers in Shreveport. If you would love to meet them, please call at (318) 636-0400. Otherwise, please share their information on your social media. Today’s dogs may seem familiar to my regular readers. C. J. was the first dog that I ever featured on Tuesday’s Tails back in December 2013. He has been at PetSavers since October of 2008. That is way too long for this poor guy to be without a home of his very own. There are several other dogs that have been waiting almost as long as C.J. Please check the adoptable pets tab at the top of our blog and share them. Don’t forget to visit our hosts and the other blogs listed that are featuring dogs and cats in need of forever homes. A while back, there was a great deal on this food so I took advantage of it and ordered some for Shiner. She enjoyed it :) Great review guys! I need to email you before the weekend if you're still coming to Austin so we can meet up at the expo. I'm happy that salmon is available for pets now too. My 7 stomchs love fish and seafood, think I accidentally swallowed a kitty once what rules now in my tummy. Thanks for a super review! that sounds seriously good - Reilly has a poultry allergy so finding something without chicken duck or turkey in it is always hard and on top of that he can't have grains either so fish has been staple for many years - we will be looking for this one to try. Sounds like a great food choice ... And both Cello and Hooch love salmon! We agree sounds like a great choice and yes every pet is unique. I have salmon fish skin when we have some. Yummy. Looks like you boys really enjoy that food. Mom doesn't like anything having to do with fish for her or us. Until recently we didn't even get treats with fish in them. Now we have started getting fish in some treats and just love it. Salmon is supposed to be real tasty and fancy, so enjoy! THAT is an excellent review. Well done. We like Sammin, Too. We love Petbrosia!!! Great review! CJ is gorgeous BTW, sharing! 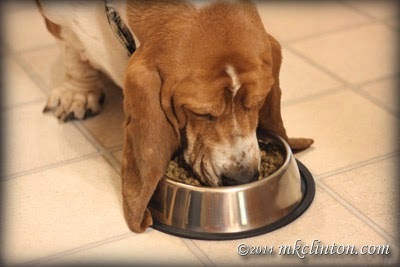 That dog food sounds great and know my little pack would love salmon! Great review. Also sharing CJ! CJ has been at the rescue since 2008! That is a really long time. Hopefully the Tuesday's Tails exposure helps him fond a home. Great review! Sounds like good stuff. Rita LOVES salmon! I love that the food is made for each individual! Isn't CJ a cutie....I love that he has two different color eyes! I always thought that the L is salmon was useless, too ;) I loved how individually tailored this food is! Now that is some good research!!! WOW! Y'all sure scored some pretty nice yum! Oh, that poor C.J., that is so heartbreaking for that sweet dude. We will share him. Poor C.J. Breaks my heart :( Sharing. Great review, look at them digging in. Hope C.J gets a home soon.